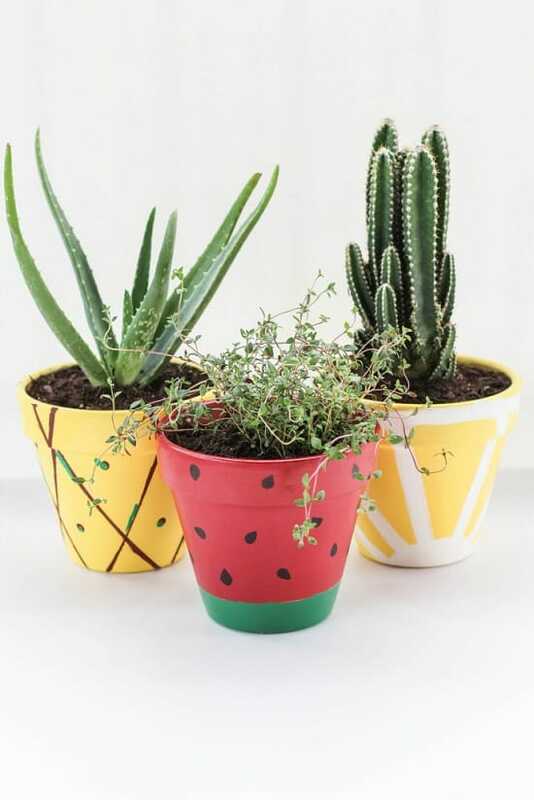 If you find your usual garden pots boring, make these interesting and cool-looking DIY Fruit Planters! 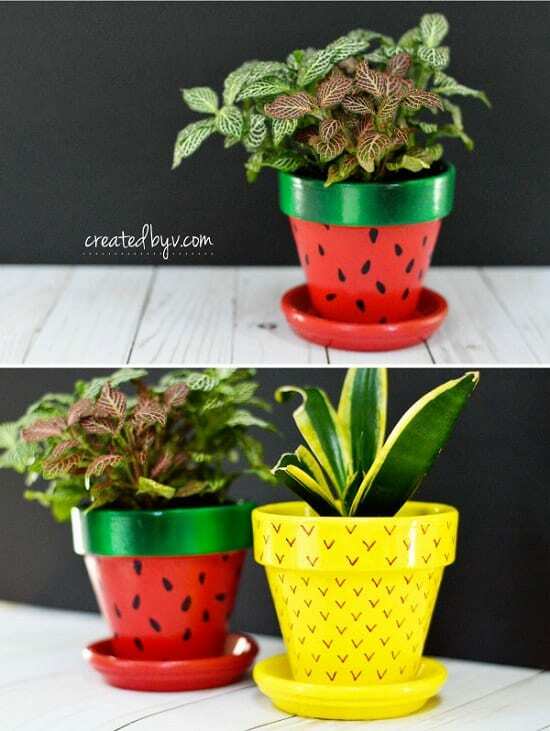 Create a set of planters that resembles any fruit or vegetable by just using glass dishes and acrylic paint. Over The Big Moon has the tutorial. 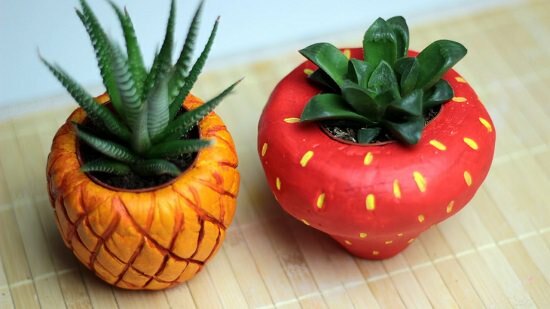 Spray paint terracotta pots with several coats and draw the features of a fruit you like. 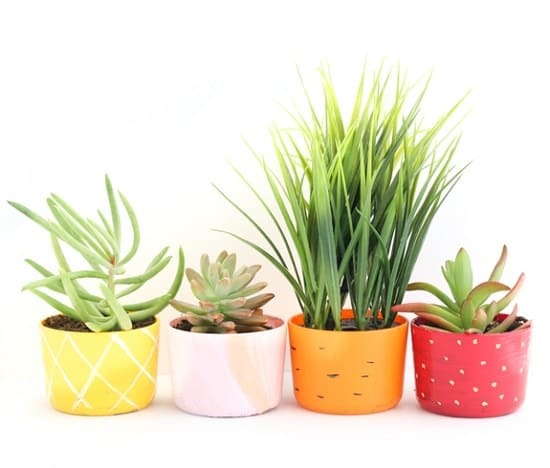 Here’s a tutorial for every planter that you see in the picture above. 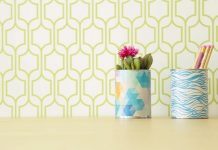 Imitate the appearance of tropical plants on wooden vases by painting them with acrylic paint and adding little extra details. The tutorial is on Yesterday On Tuesday. 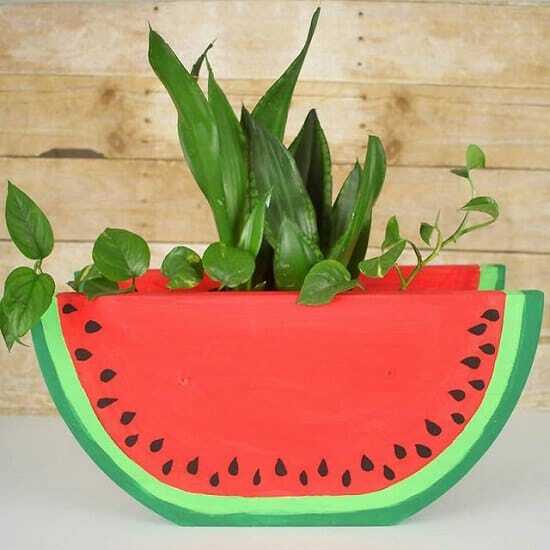 Just a few coats of spray paint and other details using a marker can transform a terracotta pot into a fruit-inspired planter. 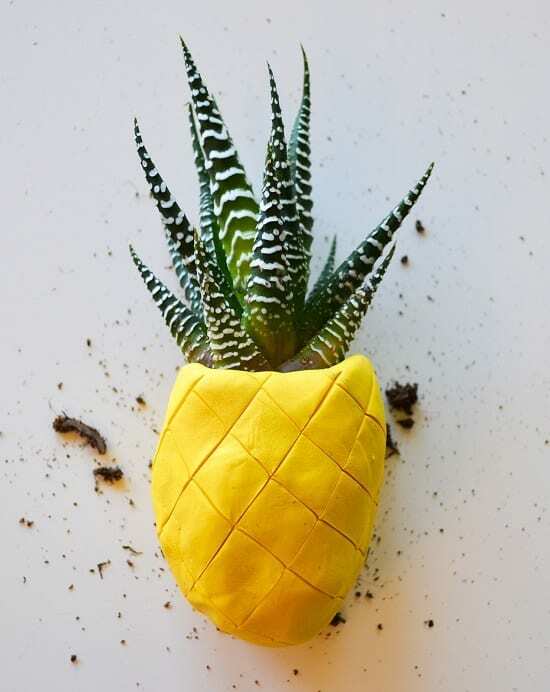 Have a look at Created By V.
Shape air dry clay in a hollow pineapple like figure and paint it with acrylic paint. You can even add diagonal lines to the planter using a knife. 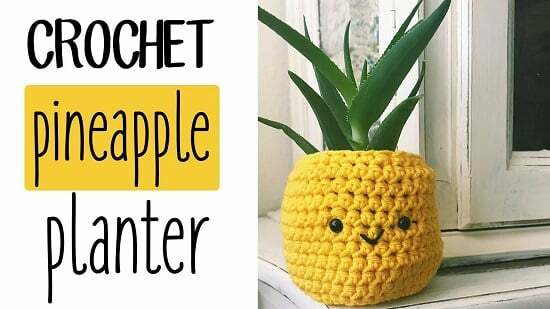 The tutorial is available at I Spy DIY. 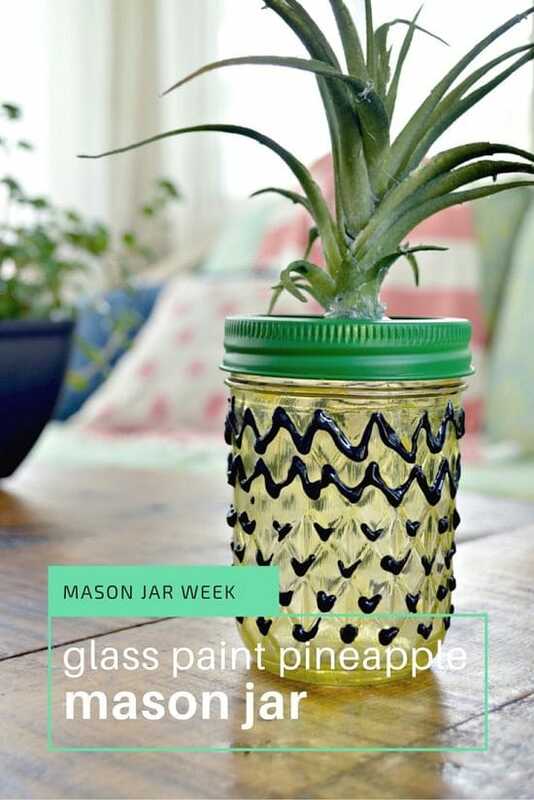 Transform a simple mason jar into a pineapple themed jar using gloss enamel, glass stain, brush, glue, and paint brush. Visit Mad In Crafts. 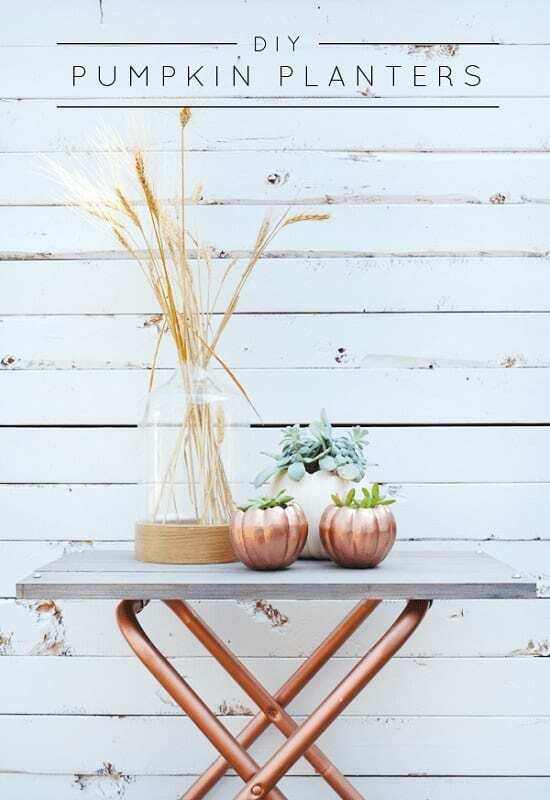 You’ll need two semi-circle wood pieces, 6X6 wood boards, paint, screw, and paint brushes. Understand the instructions at Blog Lovin. 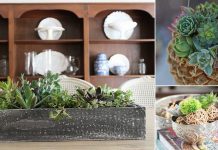 See how you can convert a plastic pumpkin into this rustic and vintage like planter in a few steps. 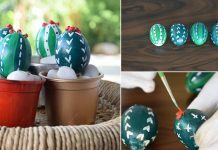 You need plastic pumpkins, knife, paint, soil, and succulents. 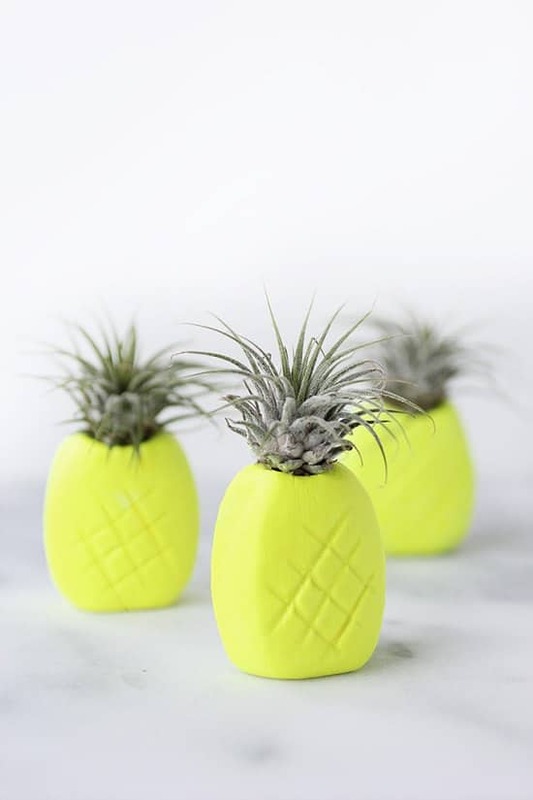 Attach magnets to a pineapple shaped clay to display it on your fridge or any other magnetic board. Follow the tutorial at Camilleiam.